This electronic cigarette guide will provide advice and information we have learned from several years of experience with electronic cigarettes. We will explain what we believe to be the best strategy for starting with an electronic cigarette. Using an electronic cigarette is slightly different from a tobacco cigarette. When ready to draw on your cigarette press the power button and wait a split second for the device to warm, you should hear a crackling sound, this is the liquid warming up. Start to slowly draw on the mouthpiece. 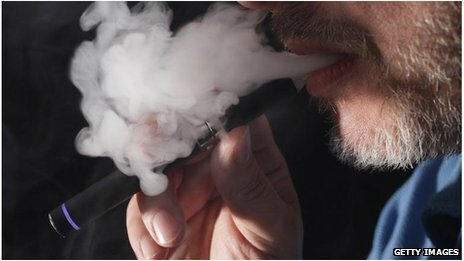 With the electronic cigarette sucking hard will not make more vapour, it may draw to much liquid into the device and cause ‘flooding’. You will know this has happened if you hear a gurgling sound. Keep drawing on the mouthpiece for 3-5 seconds, the longer you draw the more vapour you will get and the stronger the throat hit will be. This technique may take a little practice but soon will become second nature and you will be producing large amounts of vapour and great throat hit. When you start using electronic cigarettes don’t think you must quit tobacco cigarettes. You will most likely still have cravings for tobacco cigarettes no matter how much nicotine you get from your electronic cigarette. We recommend you use your electronic cigarette as much as possible, especially in situations where you would normally smoke a normal cigarette. For example while driving, after meals, on work breaks or after waking up. It may take several days for your body to associate its nicotine cravings with an electronic cigarette. Feel free to smoke a tobacco cigarette if you feel the urge to do so, you may find after a few puffs it is not as enjoyable or as satisfying as it used to be. After a few days using the advice from this electronic cigarette guide you may find you are smoking much less tobacco cigarettes. Make sure you have a good supply of e-liquid and atomizers on hand and at least 2 batteries so you will always have a battery available if the other is charging. Now that you have cut out almost all tobacco cigarettes from your daily routine you can start to think about you e-liquid. There are a great range of flavours to choose from and everyone’s tastes are different. Some people like to have different flavours they use throughout the day and some like to find a favourite flavour and stick with it. There are an awesome range of tobacco, menthol, food and drink flavours to try. As a rough guide if you where a heavy smoker (20-40 cigarettes per day) you will most likely find the high (18mg) or very high (24mg) nicotine strength right for you. A medium smoker (10-20 cigarettes a day) will suit a medium strength (12mg) and a light or occasional smoker (less than 10 a day) will probably be suited to a medium (12mg) or low (6mg) strength. Finding the best device for you is something that comes with experimenting. We recommend trying both of the systems in this electronic cigarette guide (the cartomizer and the clearomizer) to find which one you prefer. Ease of use, difference in draw, flavour, vapour, size and look are all things that may influence what device you prefer. This article compares the two. Many people like to use both systems for different situations. You may like to have one for staying at home and another for taking out with you. Keeping your device working great takes just a little care. We recommend cleaning the connection points on your battery and atomizer with some tissue every time you recharge your battery. Eventually your atomizer system will lose performance and will need to be replaced. The clearomizer system can be cleaned once or twice to extend its lifetime. Cleaning the cartomizer is generally not recommended as they are very cheap to replace and problematic to clean. Congratulations on being smoke free! We hope you have enjoyed this electronic cigarette guide and have now joined the millions of other people around the world who are using electronic cigarettes! 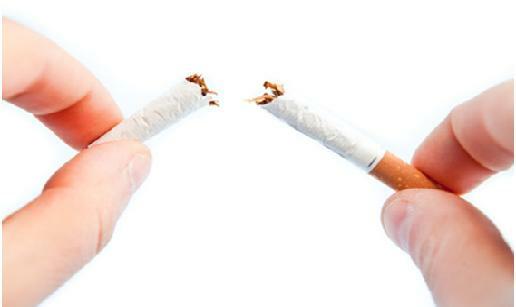 You may want to cut down on you nicotine intake by slowly tapering down your usage or use a lower strength e-liquid. We also stock nicotine free e-liquid. If you have enjoyed this electronic cigarette guide and found it useful please share it with others. Keep an eye out for special offers and new products from CigElectric!